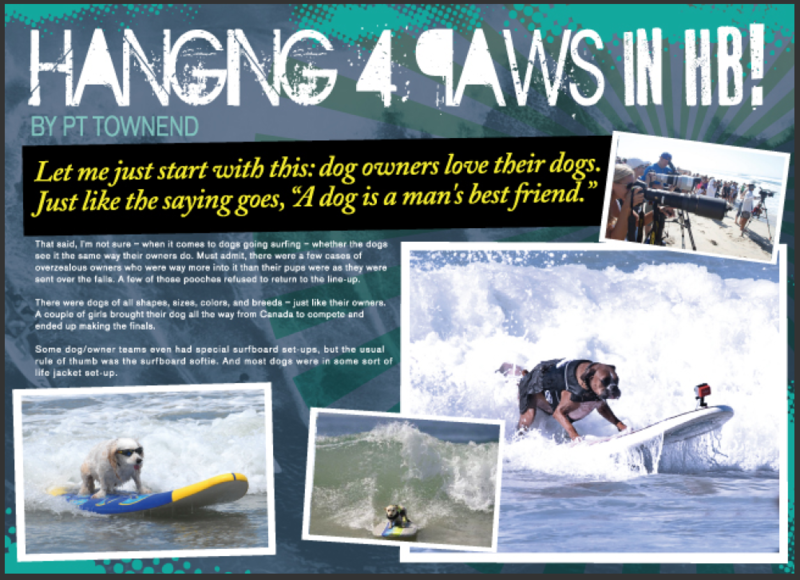 Favorite Sports/Activities/Pastime: Hanzo has been skateboarding ever since he was 8 weeks old. 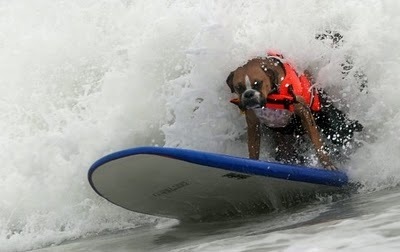 Now all he wants to do is skate and surf! 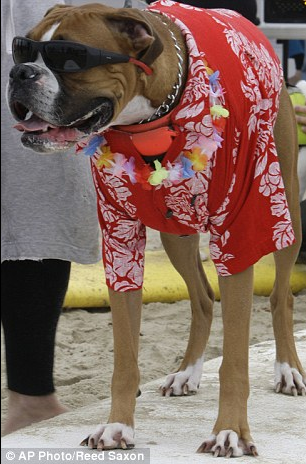 Hanzo also enjoys camping and playing in the river! 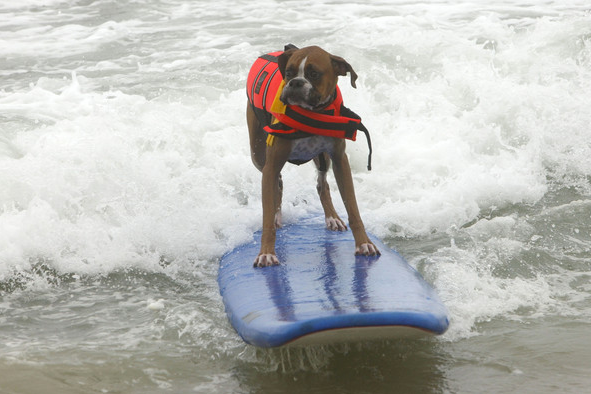 Boxers are some of the best family dogs! 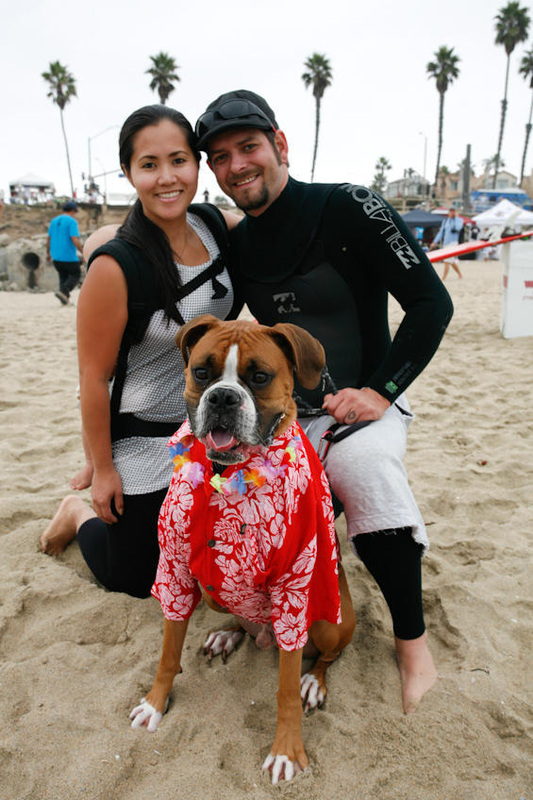 When Hanzo was only a puppy he was extremely helpful in Miho’s transition from Japan to the States by getting her out of the house to meet new people. 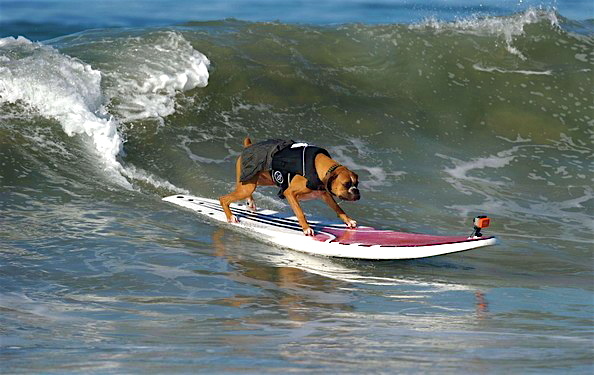 He is such a lovable dog with a pleasant demeanor and people like to stop and pet him everywhere he goes, but be forewarned, he likes to give out kisses. 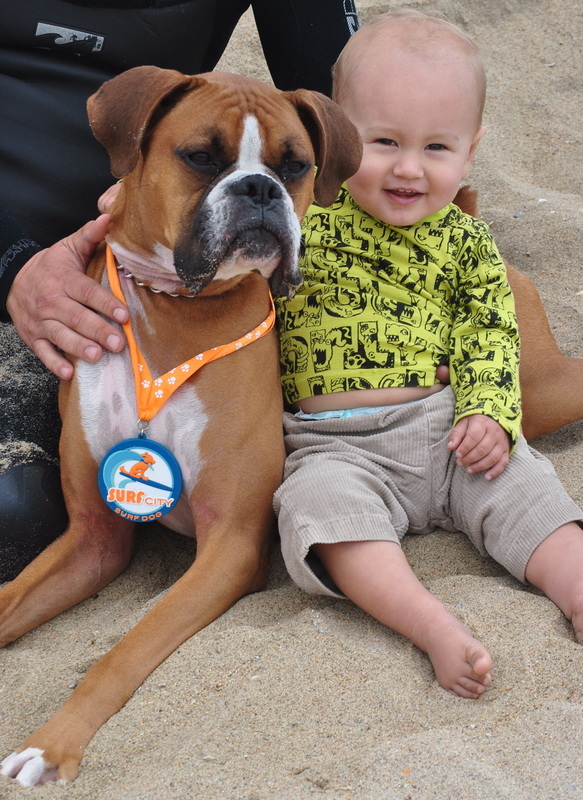 When Hanzo was a year old he received a little brother, a miniature pinscher named Bruno. 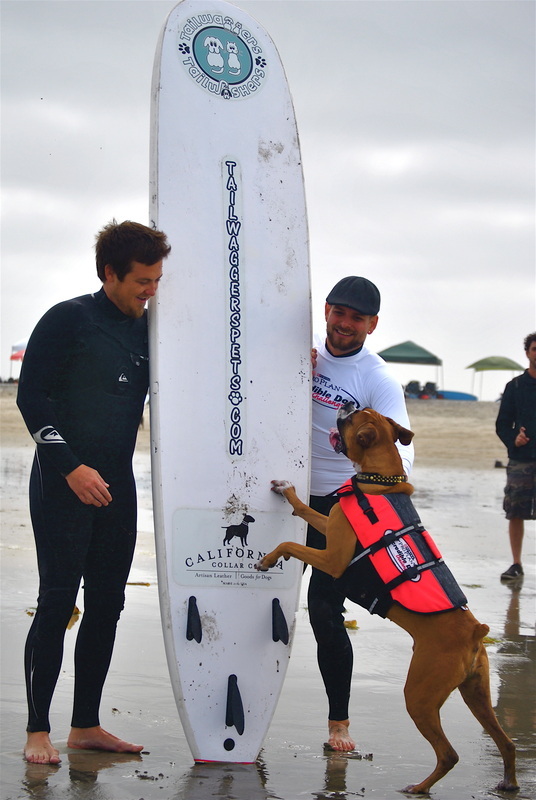 Hanzo was very gentle and fostering. 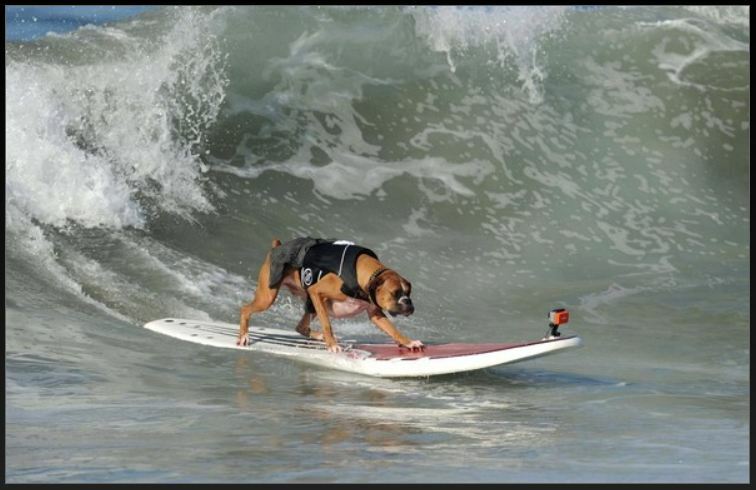 When he was two years old we had our son Hugo. 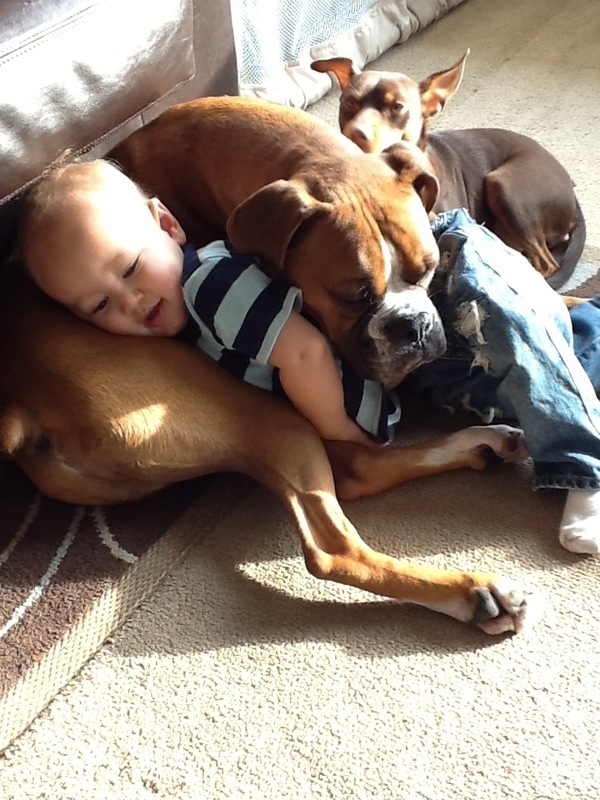 Once again, Hanzo was extremely sweet and nurturing. 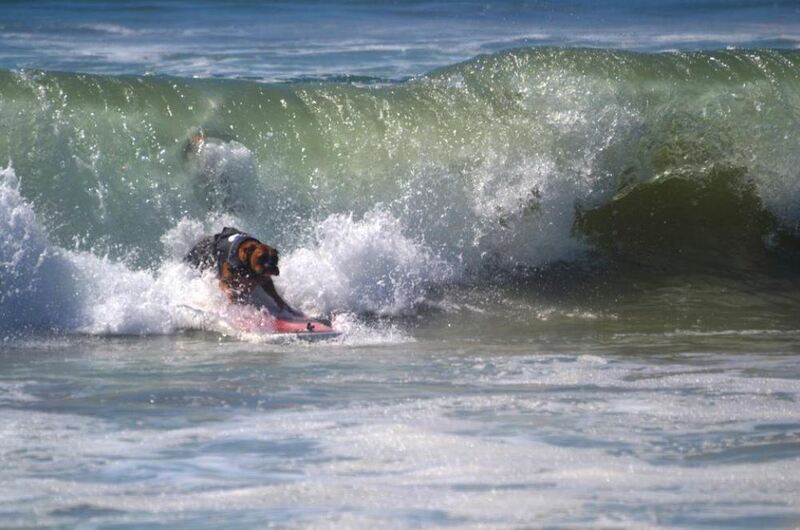 everyone involved. 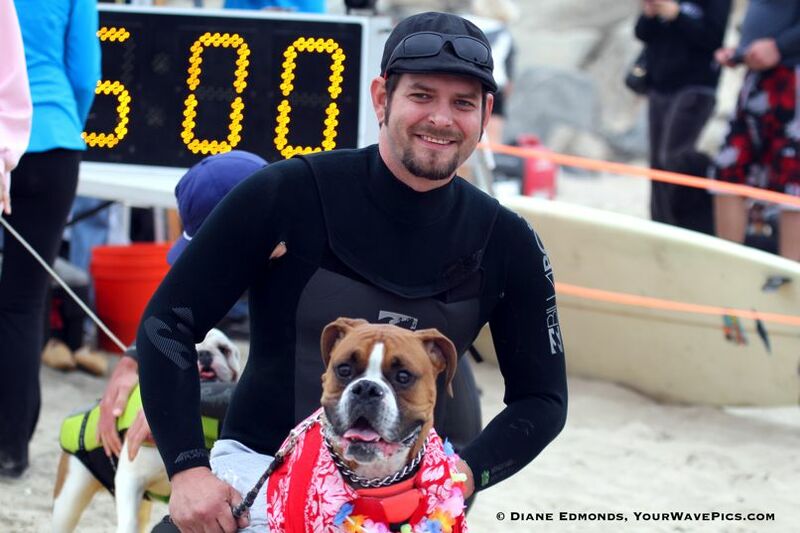 Hanzo is a champion inside and out. 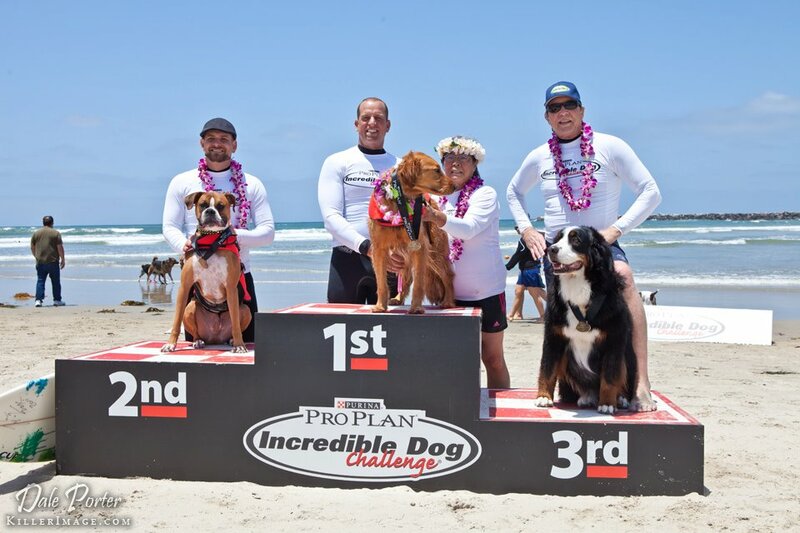 2014 Unleashed by PetCo Surf Dog Competition at Imperial Beach CA. 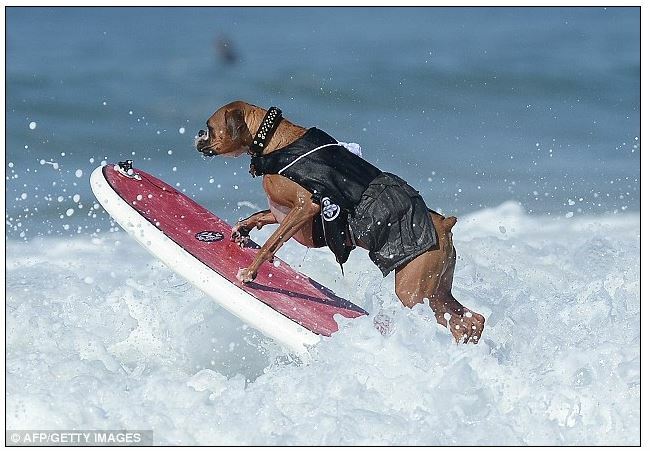 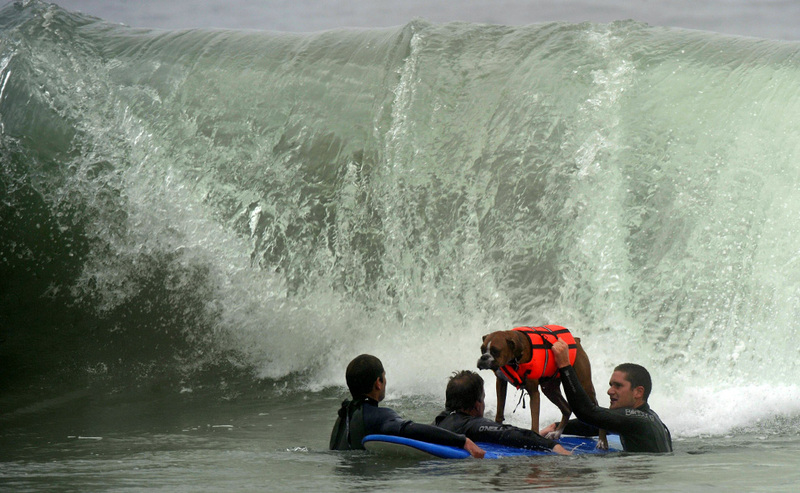 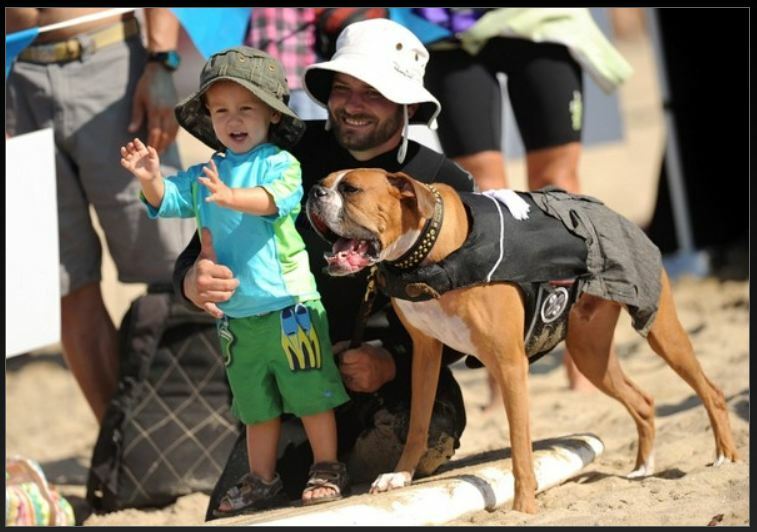 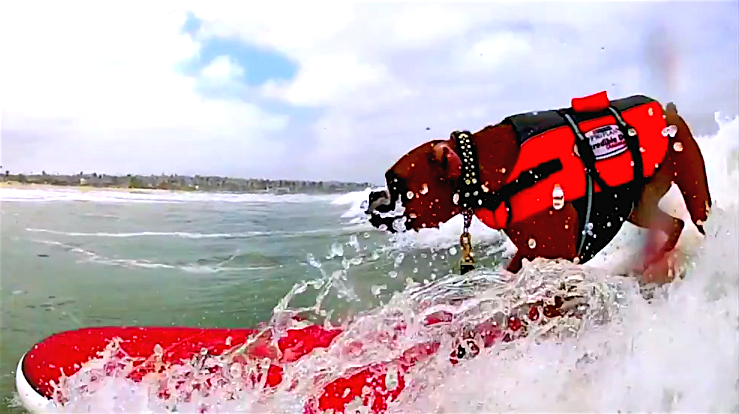 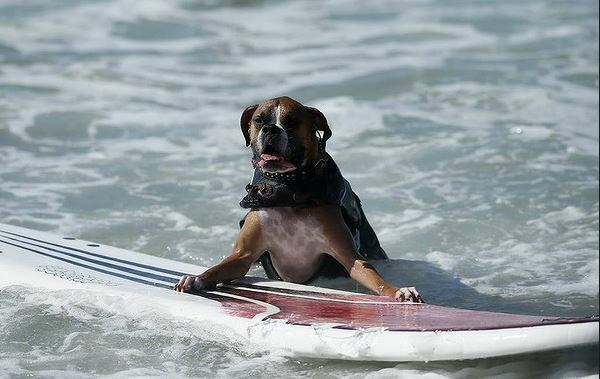 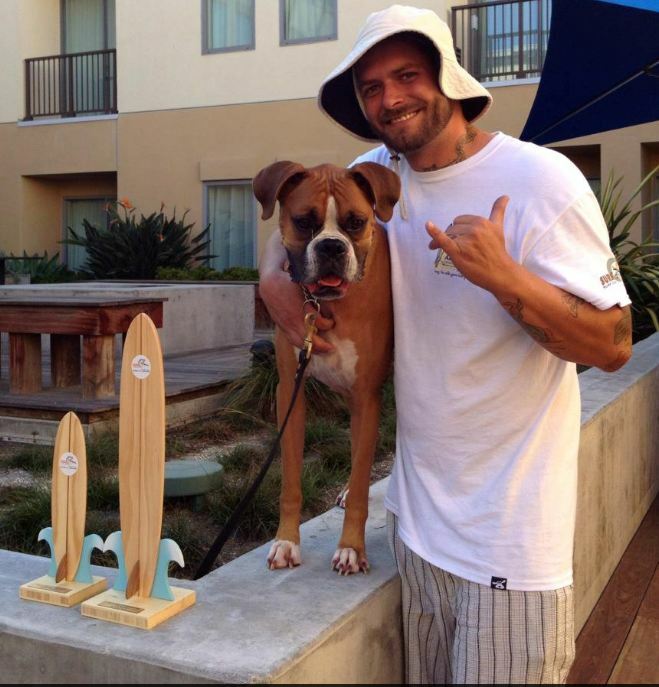 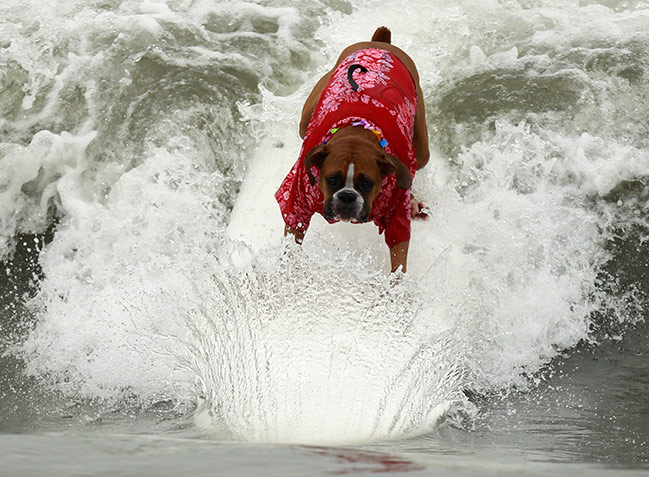 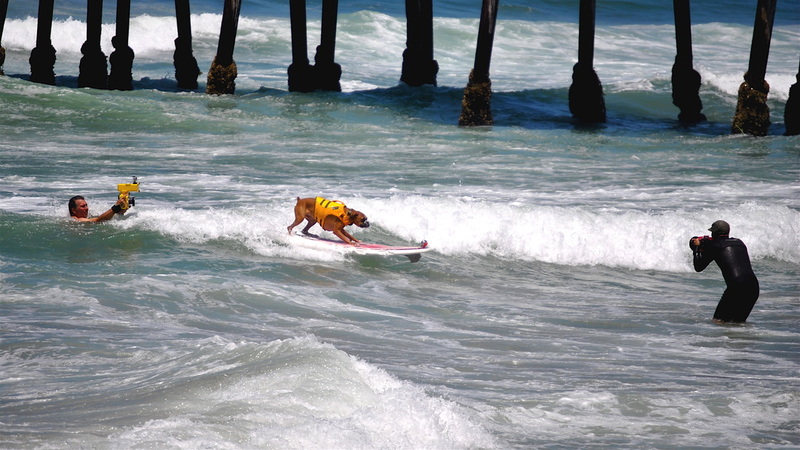 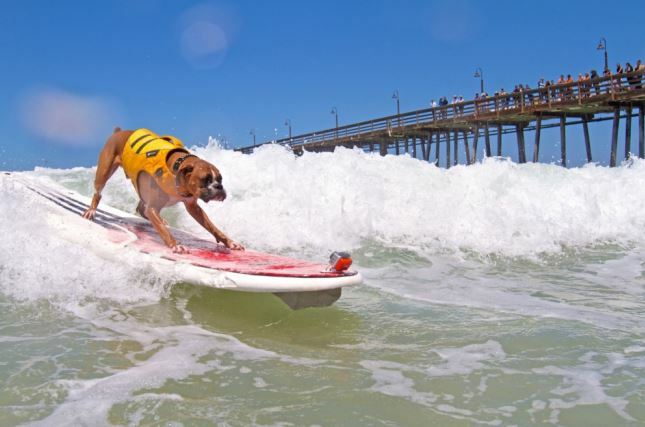 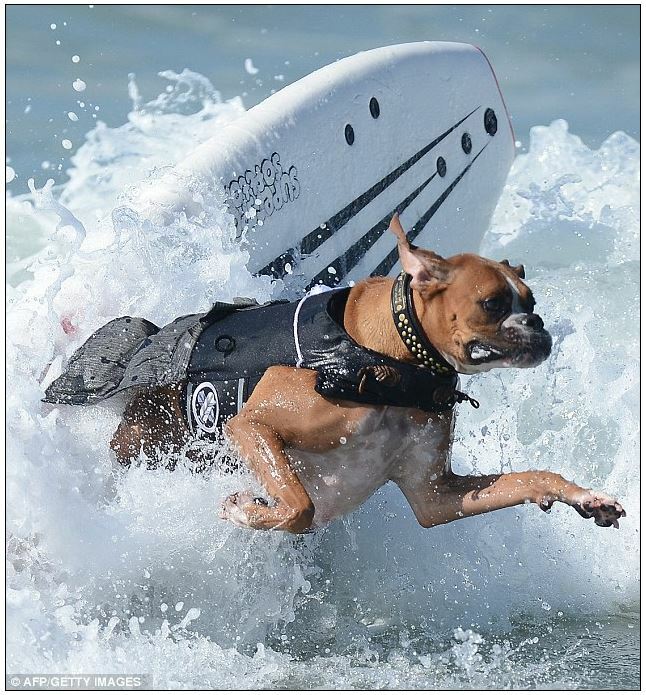 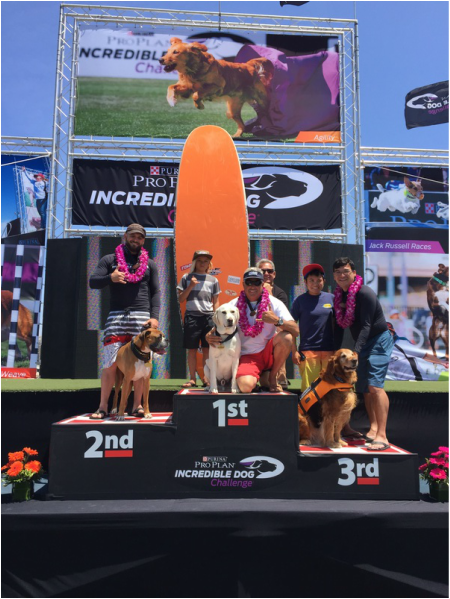 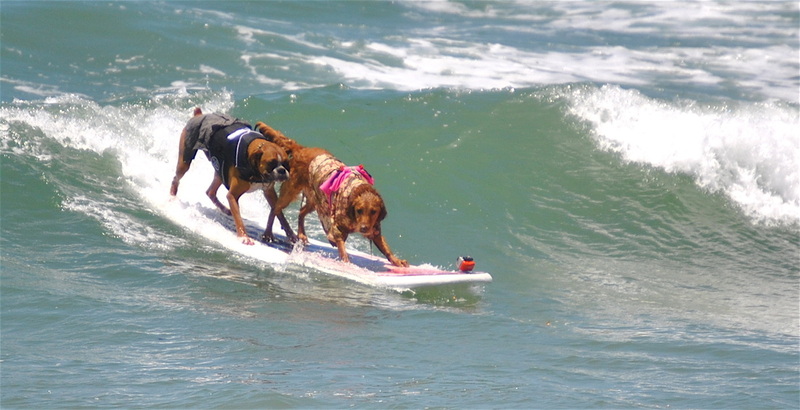 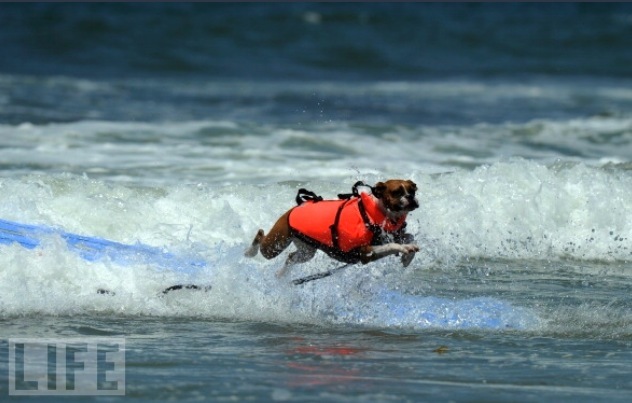 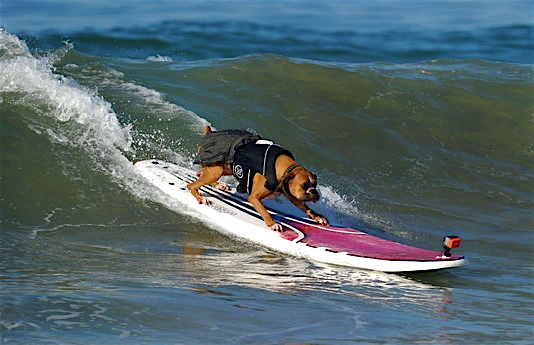 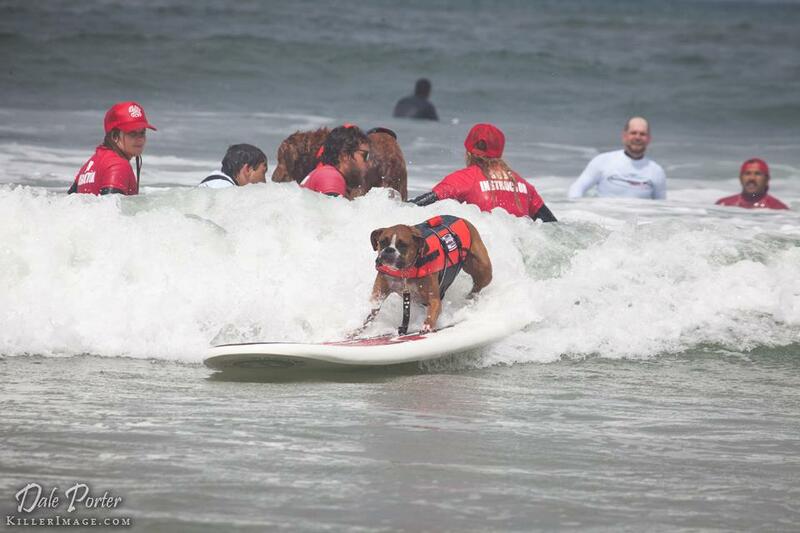 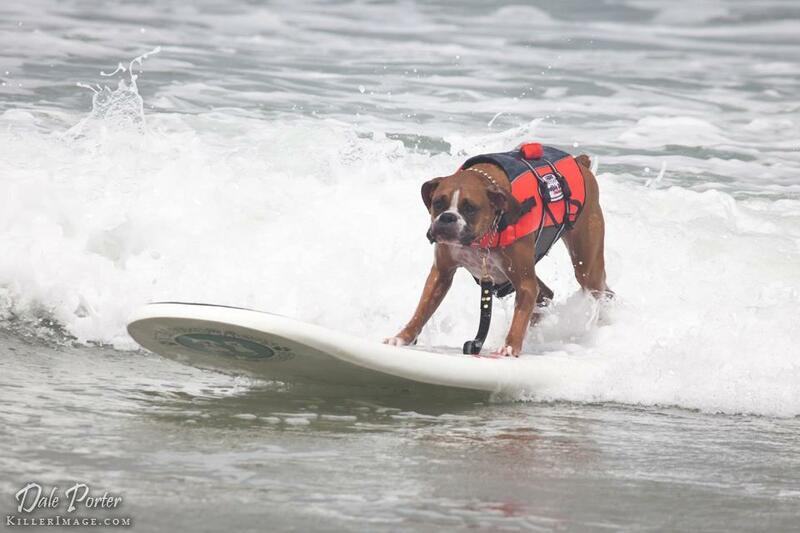 2015 Unleashed by PetCo Surf Dog Competition at Imperial Beach CA.